6 Passenger -Includes Diving & Yoga! "Oui Cherie" is a brand new Lagoon 520, and available for the best yacht charters in the Caribbean. 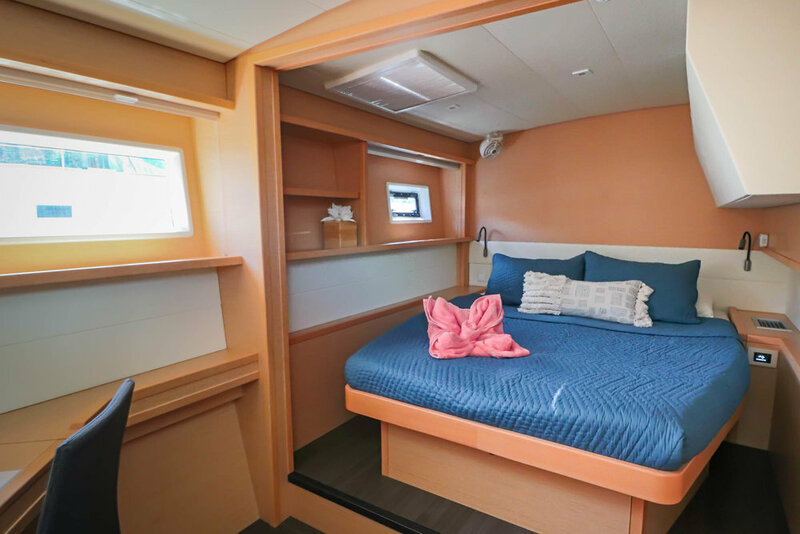 This 4-cabin version is perfect for a variety of charter make-ups. Groups of friends, families large and small, extend families, the possibilities are endless. 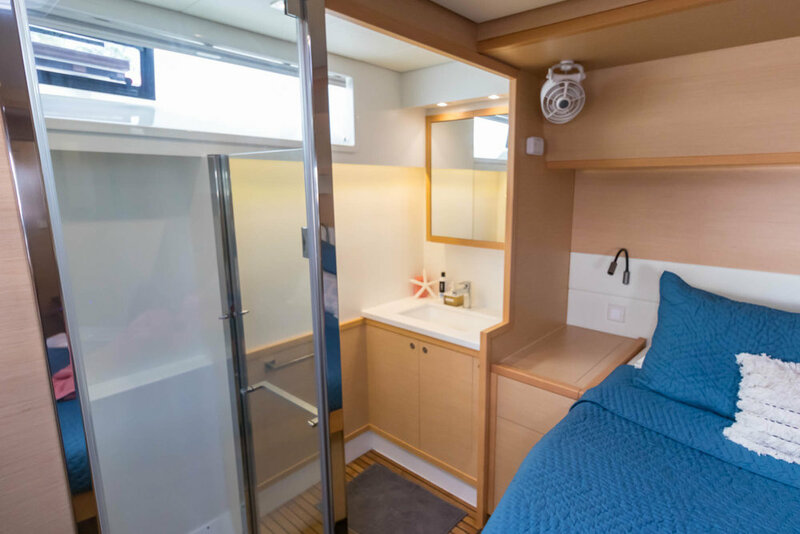 3 queen Staterooms are available to the guests on a regular basis, all with their own separate bathrooms and showers. CURRENTLY OFFERING $1,000 OFF FOR 2019 CHARTERS! Chef is a certified yoga instructor and offers SUP yoga and yoga on board. 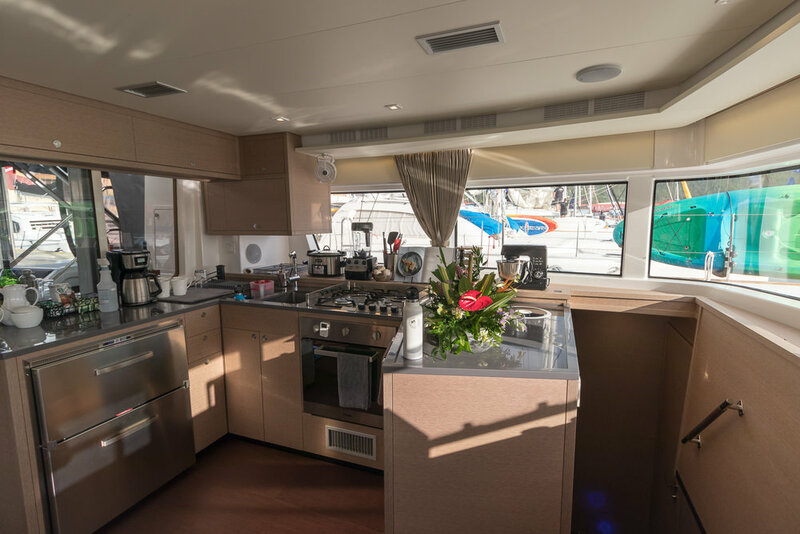 Oui Cherie also offers a flexible meal plan, a sleep aboard option, child discount rates, and is available for 6 night charters at a pro-rated nightly rate.